Fund shops zoom in on mid-cap, managed futures, emerging-markets debt and lifecyle strategies. New products and changes introduced over the last week include NASDAQ OMX’s listing of two ETFs; TIAA-CREF added both an emerging market debt fund and two target date funds; ARK Investment Management launched two ETFs; Henderson Global Investors launched an international equity fund; and ProShares launched a managed futures strategy. Also, Addenda Capital launched a global fixed income strategy; Aequitas Capital launched a provider network; iCapital Network launched an online marketplace; Source added Interactive Data’s ETF services; and Abacus Group launched a client portal. Ivy Funds has announced the launch of the Ivy Mid Cap Income Opportunities Fund (IVOAX), which is managed by Kimberly Scott and co-manager Nathan Brown. 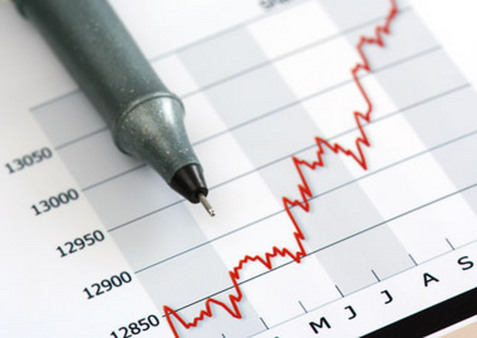 IVOAX seeks to achieve its objective of providing total return through a combination of current income and capital appreciation by investing primarily in a diversified portfolio of income-producing common stocks of mid-capitalization companies that the management team believes demonstrate favorable prospects for total return, focusing on companies the managers believe offer the opportunity to provide higher-than-average dividend yields relative to the overall mid-cap space. ProShares has announced the launch of the ProShares Managed Futures Strategy ETF (FUTS), which follows the S&P Strategic Futures Index, designed to capitalize on upward and downward trends in the futures markets. Managed futures strategies identify price trends in the futures markets and take long or short positions across asset classes such as commodities, currencies and fixed income. This flexibility means they can potentially capture value from both upward and downward price movements in these markets. Managed futures portfolios have historically provided risk-adjusted returns comparable to those of stocks with low correlation to the stock and bond markets. TIAA-CREF has announced the addition of the TIAA-CREF Emerging Markets Debt Fund (TEDLX, TEDTX, TEDPX, TEDNX) and the TIAA-CREF Lifecycle 2060 and Lifecycle Index 2060 Funds (TLXNX, TLXPX, TLXRX, TVIIX, TVIPX, TVITX). TEDLX is an actively managed mutual fund that provides blended exposure to a range of emerging markets fixed-income securities, including U.S. dollar and local-currency-denominated sovereign and corporate bonds. It will use the JP Morgan EMBI Global Diversified Index as its primary benchmark. Katherine Renfrew is lead portfolio manager and Anupam Damani is comanager. TLXNX and TVIIX will allocate 90% of assets to equity and 10% to fixed income at the outset and will gradually move to a target allocation of approximately 50% equity and 50% fixed income by 2060, reaching their final target allocation of approximately 40% equity and 60% fixed income between 2067 and 2070. NASDAQ OMX announced that it has listed the Arrow DWA Tactical ETF (DWAT) from Arrow Funds and the Compass EMP Developed 500 Enhanced Volatility Weighted Index ETF (CIZ) from Compass EMP. CIZ seeks investment results that correspond generally to the price and yield performance, before fees and expenses, of the CEMP International 500 Long/Cash Volatility Weighted Index. ARK Investment Management has announced the launch of two actively managed thematic equity ETFs: the ARK Industrial Innovation ETF (ARKQ) and the ARK Web x.0 ETF (ARKW). ARKQ seeks to invest in companies revolutionizing the industrial world, such as Tesla, Space X and Google, which are pioneering changes in the way people travel, from daily commutes to international space exploration. Fund holdings are based upon ARK’s original research, covering space exploration, autonomous vehicles, 3D printing, robotics, alternative energy sources, energy storage, infrastructure, and innovative materials. ARKW seeks to invest in companies transforming every sector of the economy thanks to Internet-enabled innovation. Among ARK’s topics of original research are big data, cloud computing, cryptocurrencies, devices/gateways, digital education, health care, the Internet of things, the smart grid, and the sharing economy. ARK has also filed with the SEC for two additional funds: ARK Genomic Revolution Multi-Sector ETF (ARKG), and a composite of the three thematic funds (ARKK). Henderson Global Investors has announced the launch of the International Select Equity Fund (HSQAX, HSQCX, HSQIX), which seeks to achieve long-term capital appreciation primarily through investment in equities of non-U.S. companies. HSQAX is structured as a concentrated “best ideas” portfolio consisting of 30–40 equally weighted holdings with a bottom-up stock picking style. Comanagers Matthew Beesley and Sanjeev Lakhani conduct fundamental research to uncover material changes in a business or sector, potentially resulting in the opportunity to exploit misvaluations and ultimately gain alpha. Montréal-based Addenda Capital has announced the launch of an investment strategy created to take advantage of opportunities in the global fixed income markets. Addenda has entered into a collaboration agreement with London-based Rogge Global Partners to provide tactical exposure to developed and emerging bond markets. In addition, Addenda Capital will help represent Rogge Global Partners in Canada if institutional clients want access to the latter’s specialized global bond investment strategies. Both firms apply relative value investment philosophies. Aequitas Capital has announced the launch of the Aequitas Financial Services Network (AFSN), a member network of product and service providers who offer capabilities to help RIAs grow their businesses. The AFSN provides financial advisory firms with access to banks, insurance companies, institutional consultants, hedge funds, third-party alternative asset managers, and others with asset origination and investor distribution capabilities. It serves RIAs that are clients of its members and of Aequitas Capital Partners (ACP). ACP offers RIAs intellectual, financial and human capital, as well as access to investment platforms, financing, and partnerships with leading financial services firms to provide technology, alternative investment products, and value-add services. iCapital Network announced the launch of its online marketplace to connect qualified investors with private equity fund managers. The password-protected, secure platform will be provided free of charge to thousands of qualified investors and advisors, including independent RIA firms, family offices and institutional investors. The platform enables qualified investors and their advisors to see over 2,000 private equity funds that are currently raising capital. The platform’s suite of tools allows users to search and analyze funds as well as gain access to a subset of funds at low investment minimums through iCapital Private Access Funds. Global investment firm Source has subscribed to Interactive Data’s ETF services, including fair value adjusted inputs for international equities as part of the published intraday indicative pricing (sometimes referred to as iNAV or IOPV) available to investors. Through its exchange traded fund and index (ETFI) services division, Interactive Data generates and disseminates IOPV calculations for ETFs listed on exchanges across the world. Source will provide indicative pricing updates to investors every 15 seconds during U.S. trading hours for the Source Euro Stoxx 50 ETF (ESTX). It can be accessed by adding IV to its ticker symbol in Bloomberg and Reuters. Abacus Group LLC has launched the Abacus client portal to give clients greater control and transparency into their AbacusFLEX services. The portal allows clients to access informative data for resources being used for each subscribed service, customize monitoring and alerts, and communicate with Abacus Group. Developed based on customer feedback, the portal is designed to help investment firms gain full visibility into Abacus private cloud environments. Each client’s authorized users can drill down into multiple aspects of their private cloud to view individual user accounts, access detailed utilization and performance data for individual applications, or request changes to the environment. Clients can monitor activities across all accounts and modify application utilization through a simple user interface. Read the Sept. 28 Portfolio Products Roundup at ThinkAdvisor.